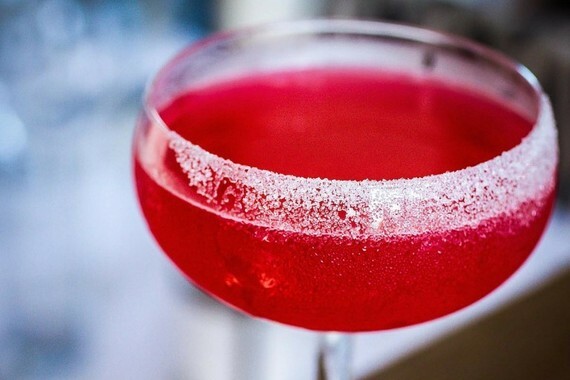 Make it sweet at Red O with the La Rosita cocktail -- shaken with Blue Ice Organic Vodka, fresh lemon, hibiscus syrup and apple essence and served up in a sugar-rimmed glass. 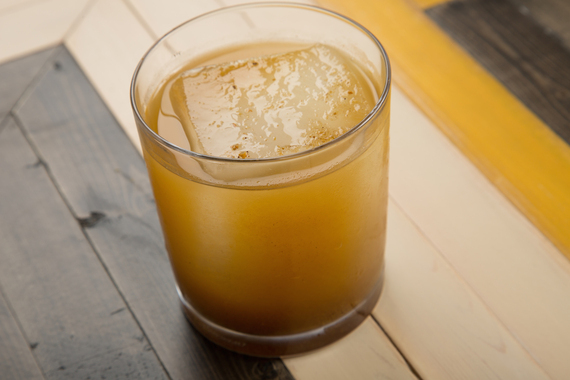 Imaginative in both names and flavors, cocktails from Estrella include the Trouble Leaves Too Slow -- made with rye, pumpkin butter and tamarind chocolate bitters. 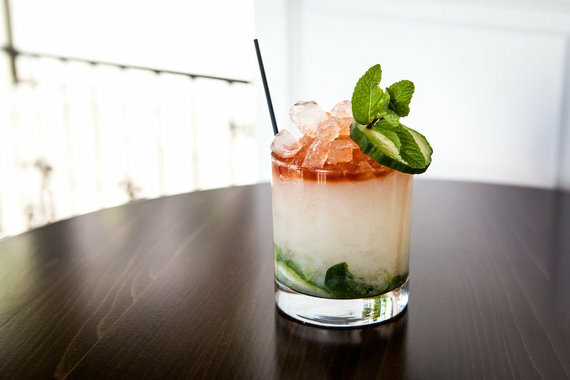 For a real refresher, try The West Side cocktail -- made with Grey Goose Vodka, lime, orgeat, cucumber, mint and Angostura bitters -- at Southern-style restaurant Preux & Proper. 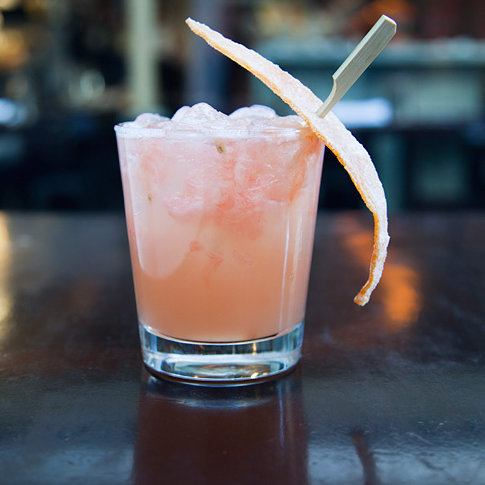 A slight twist on a classic cocktail, the Greyhound Proper at The Hungry Cat is a sweet-bitter balance of Plymouth gin, grapefruit juice and candied grapefruit. Photo provided by The Larchmont. Photo by Lowres. 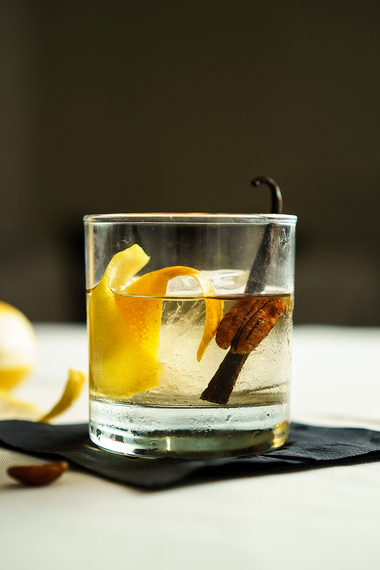 Inspired by an Old Fashioned but featuring tequila reposado, vanilla infusion, orange and lemon twists and pecans, the Nueva Moda makes for a tasty sipper at The Larchmont. 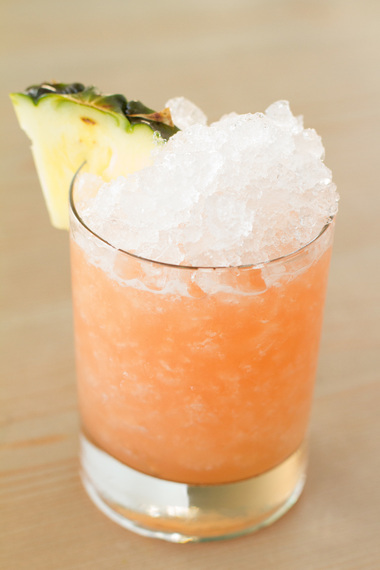 Brighten your day with a Pisco Punch at Sunny Spot, bursting with pisco, habanero pineapple shrub, lemon, lime and Angostura bitters. 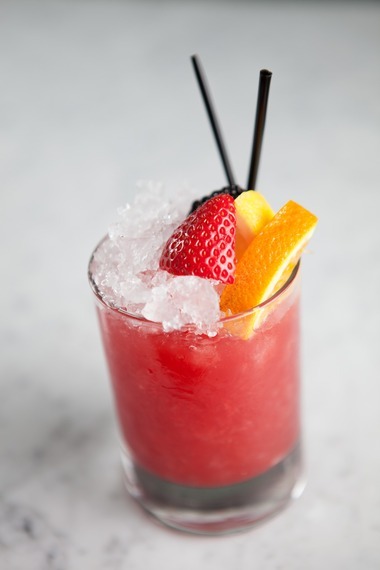 Breathe it all in at Salt Air while enjoying a refreshing Cobbler, made with Peychaud's Bitters, Carpano Antica, lemon and orange. 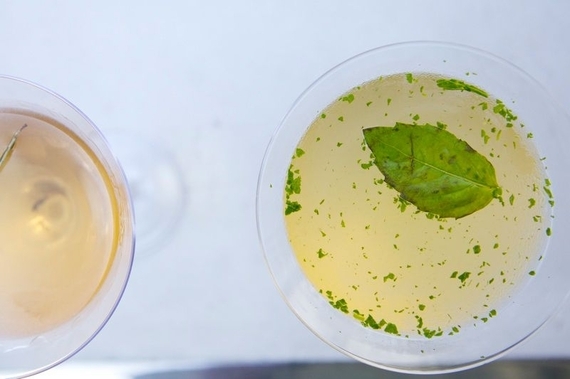 Southeast Asian eatery Lukshon mixes up a Hot & Sour Gimlet with Monopolowa Vodka, dragon chile, lime, thai basil and kinh gioi (a Vietnamese herb). Get BlackLisTEAd in Beverly Hills with this signature drink at Caulfield's Bar and Dining Room, crafted with Maker's Mark bourbon, blackberries, iced tea, mint, lemon and peach bitters. 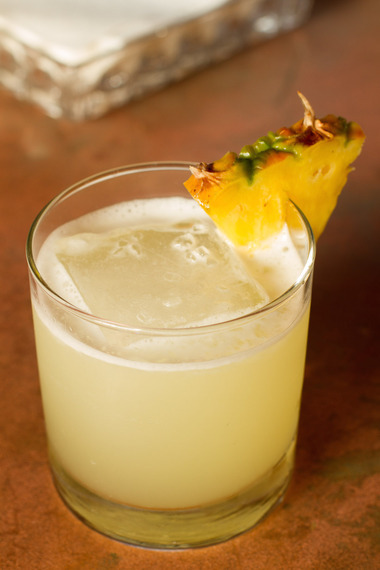 Order an Up in Smoke at A-Frame, with Vida Mezcal, Altos Tequila, lime, habanero and pineapple.